Welcome to week 13 of the Crypto Alert of the Week series by AMLT, a series dedicated to documenting interesting or high profile frauds/hacks etc that recently happened and have been reported into the AMLT Network and show how the AMLT Network can help track and prevent it in the future. Sometimes the line between what’s legitimate and what’s fraudulent is very thin. This is very much the case around the situation that a small Canadian cryptocurrency exchange Maplechange has found itself in. 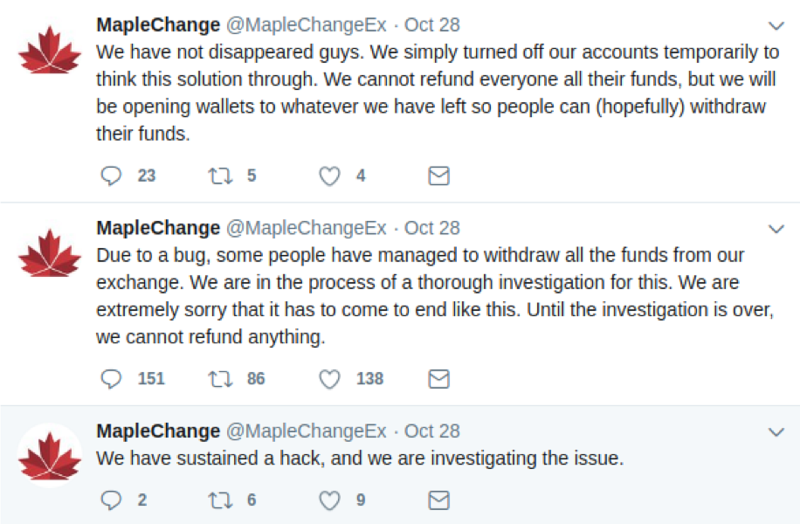 On October 28th, the exchange tweeted about a hack that they sustained informing that the hackers were able to withdraw funds. In order to prevent further losses, the remaining funds were frozen and withdrawals disabled. 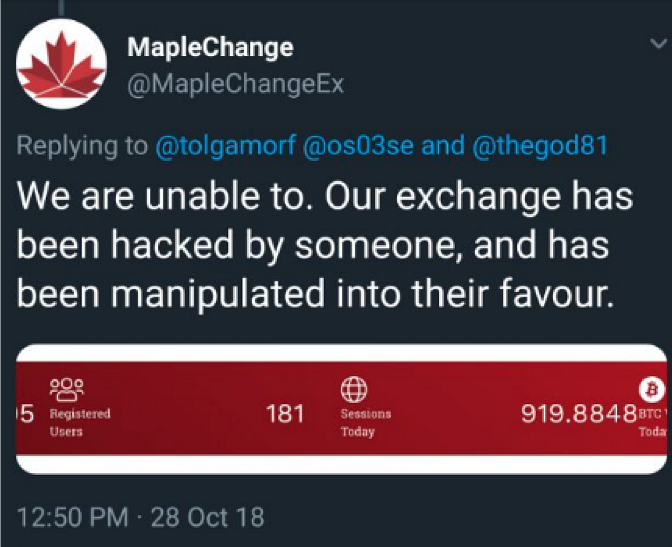 What’s curious about this case is that in addition to the aforementioned countermeasures, Maplechange has shut down all of its social media accounts as well as its own site. That’s when the first accusations of this whole happening being an exit scam started to come in. 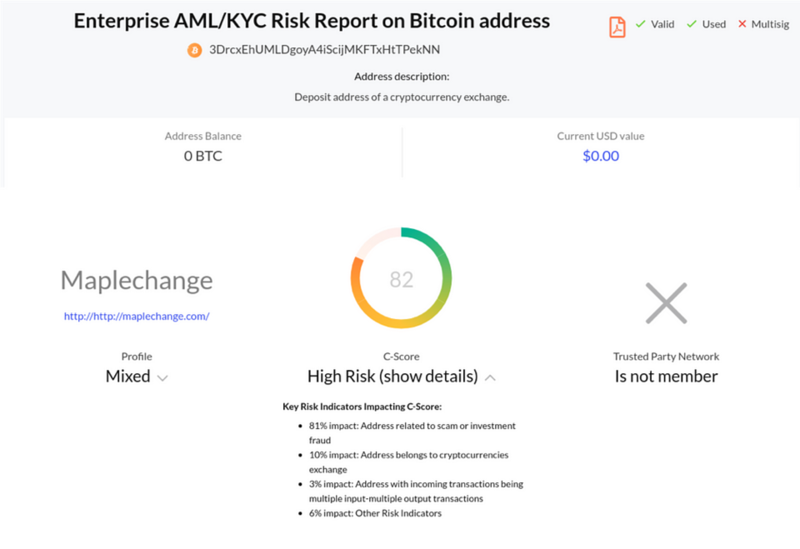 Various entities have reported, that the damage done by the “hack” is estimated at above 900BTC (more than half a million dollars) – later denied by the exchange, claiming that their hot wallet had only ~8 BTC and ~100 LTC that were withdrawn. 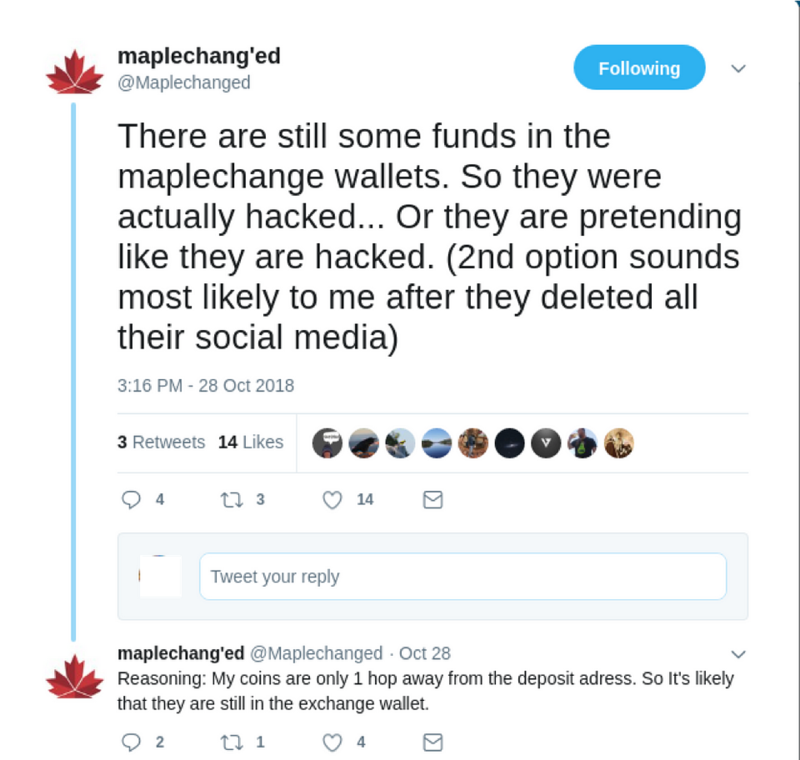 With that in mind, AMLT has decided to mark this case and Maplechange connected addresses as high risk since they failed to provide conclusive proof of the hack, resorting to short and lacklustre statements. Moreover, the disappearance of all their contact options makes it that much more suspicious.